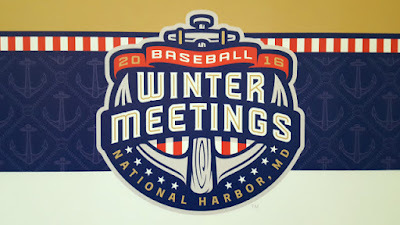 The Yankees went into the 2016 MLB Winter Meetings fresh off another playoff-less season - and third in the previous four season (also 2013 and 2014). 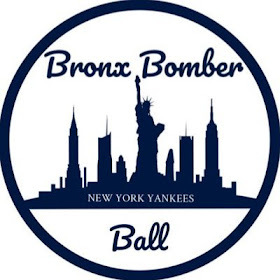 The Yankees sought help both in the rotation, which remained a question mark the entire offseason, as well as offensively after having traded Brian McCann to the Houston Astros just two weeks prior. 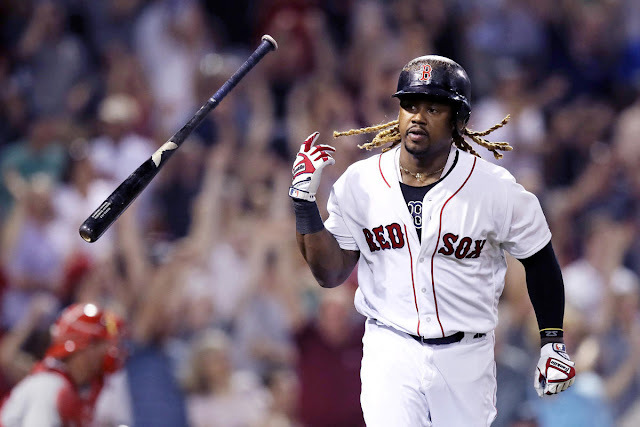 These meetings would be highlighted by two monster trades engineered by Chicago White Sox GM Rick Hahn; trading ace LHP Chris Sale to Boston for a package of prospects headlined by Yoan Moncada and Michael Kopech, as well as his trade of star CF Adam Eaton to Washington for Lucas Giolito and Reynaldo Lopez. Ultimately, New York would choose not to focus on their weakness in the starting rotation and instead focus on the bullpen and offense. First, New York inked veteran designated hitter Matt Holliday on the second day of the Winter Meetings to a one-year, $13 million contract. 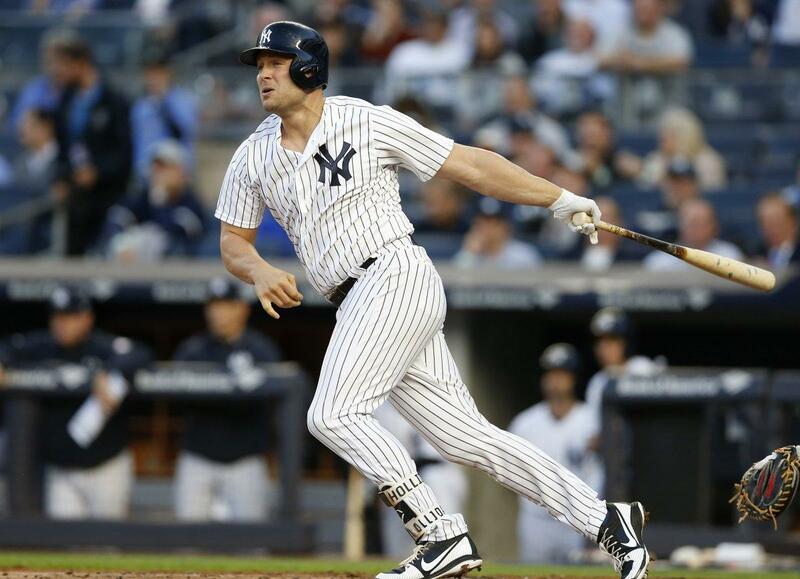 Holliday would go on to be an impact bat in the middle of the Yankees’ lineup for most of 2017 until a freak illness took him out of play for an extended period of time. The Yankees would later rock the baseball community just as the Winter Meetings were concluding, signing closer Aroldis Chapman to the richest reliever contract in MLB history at five-years and $86 million. 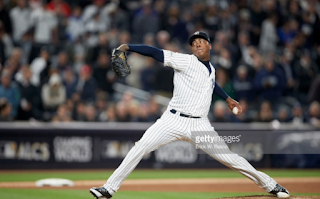 Chapman, of course, was with New York the prior season until being dealt to the Cubs for a package of prospects headlined by MLB Pipelines current #1 prospect Gleyber Torres. Chapman had an up-and-down 2017, but regained his form late in the year and anchored New York's bullpen throughout the playoffs. In a smaller move, New York also re-signed infielder Donovan Solano who played for the Yankees late in 2016 in place of the injured Starlin Castro. Solano remained in the minors throughout the 2017 season. The Yankees failed to engineer any major trades for pitching depth and took another hit in the Rule 5 Draft, held the final day of the meetings. Four Yankees’ unprotected prospects were taken in the first ten picks of the Rule 5 Draft, with C Luis Torrens being taken second overall by Cincinnati, RHP Tyler Jones taken sixth by Arizona, LHP Caleb Smith taken seventh by Milwaukee, and LHP Tyler Webb drafted tenth overall by Pittsburgh. Jones, Smith & Webb were all returned to the Yankees after they failed to break camp with their respective teams. 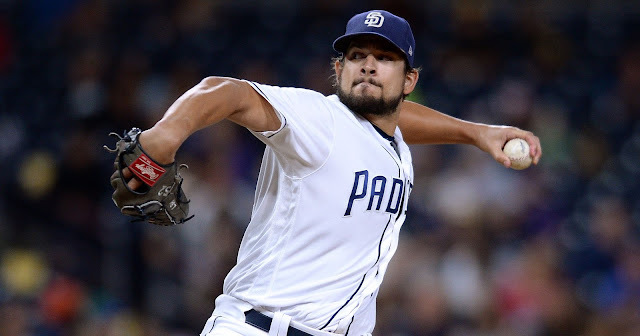 Torrens was eventually traded to San Diego and made the Padres’ Opening Day roster. 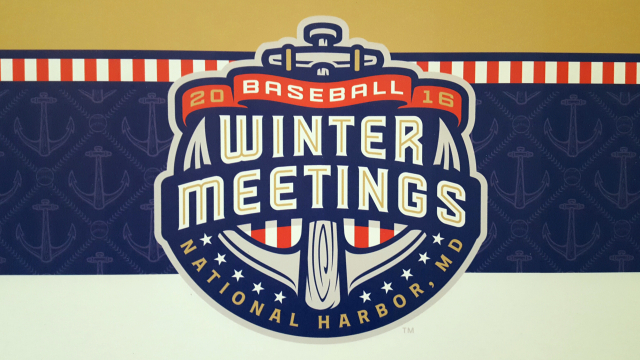 This year, expect the Yankees to be much more active at the Winter Meetings. CC Sabathia remains unsigned and the entire 2017-18 Offseason has remained quiet while the baseball world has waited out the Shohei Ohtani decision as well as a potential Giancarlo Stanton trade. Just last night, Stanton announced he would only accept trades to the Yankees, Dodgers, Cubs & Astros, so this might be something to watch. The Yankees might look to move such players as Chase Headley & Jacoby Ellsbury, they should be active in the pitching market - particularly for a left-handed reliever - and don’t be surprised if they make a run at the Orioles’ Manny Machado who has one season of team control remaining before he hits free agency next Winter (although Baltimore has publicly stated he likely won't be traded). At this point last year, the Yankees were an unknown. A group of kids who had potential, but not much in the ways of expectations. This year, having fallen just a game short of the World Series the previous season, New York is expected to win now. And with that, expect the Yankees to be wheeling and dealing as they gear up for the 2018 season.